Sure it's a swipe, but few comics have that Sgt pepper's feel to them right now than A&A. Just look at that cast! Any cover that can boast a monkey and a dinosaur at the same time has to be a winner. What do you think? 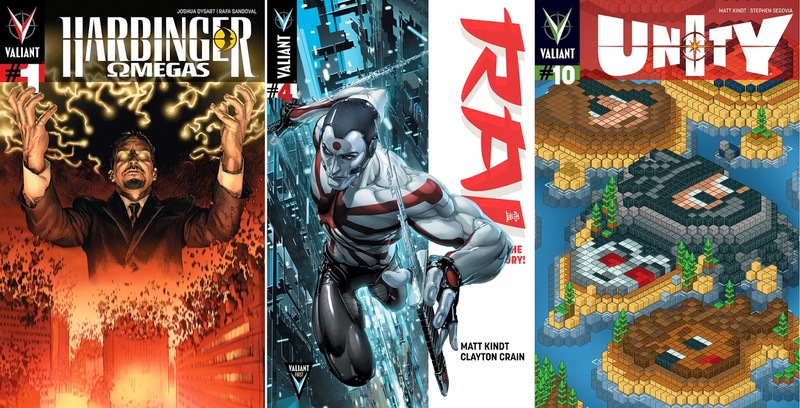 For the full list of Valiant's August 2014 solicitations, click the jump. 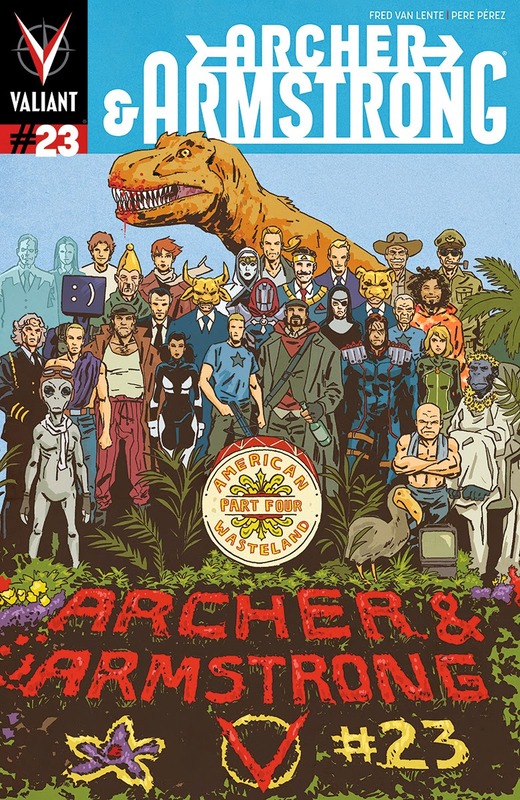 I really did Archer and Armstrong - such a hilarious buddy-buddy comic, always full of laughs and action. Thanks Karl - it sure is a crazy read these days. Humour comics are on their way back at last it seems!